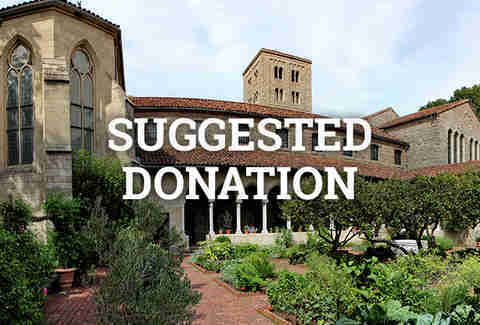 Since the best art is free art, here's an exhaustive list of every always-free, sometimes-free, and suggested-donation (but still technically free!) museum NYC has to offer. Bonus: Ranger-led tours are totally free. 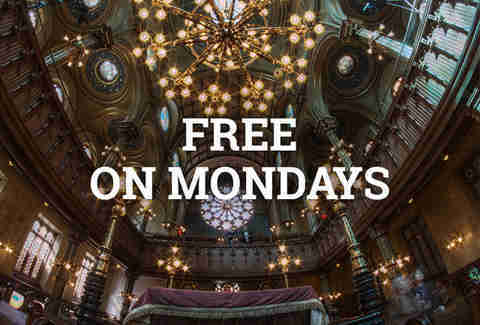 Bonus: Free tours can be reserved Monday and Tuesday at 1pm and 2pm. 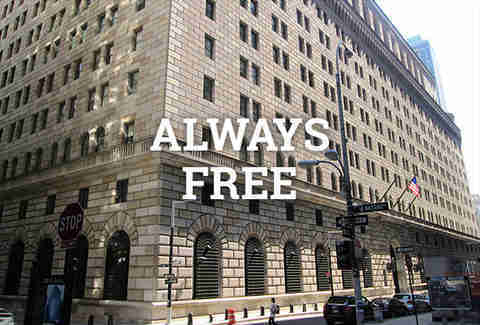 Bonus: Guided tours are free! Call to schedule. 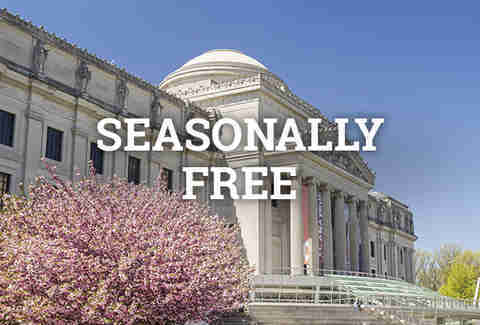 Bonus: Free 45-minute tours of the building and collections. 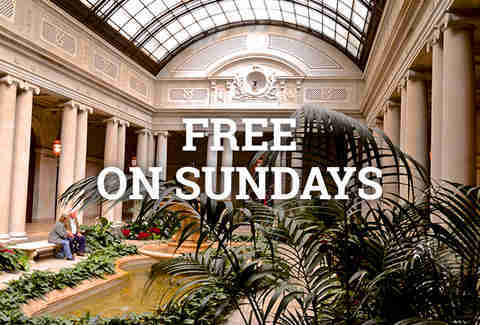 Bonus: Free guided tours at 11am and 2pm, Monday-Saturday, and 2pm on Sunday. Notes: Grounds and botanical garden only. Bonus: Free tours up for up to six people. Notes: Tickets are not available in advance and are distributed on a first-come, first-served basis at the museum starting at 4pm. Hours: Check the schedule for specific free days. Notes: Pay as you wish for grounds access, but special exhibitions -- like the Butterfly Garden, Congo Gorilla Forest, and JungleWorld -- are not included. Notes: Applies to exhibitions only. There may be a separate admission price for public programs. 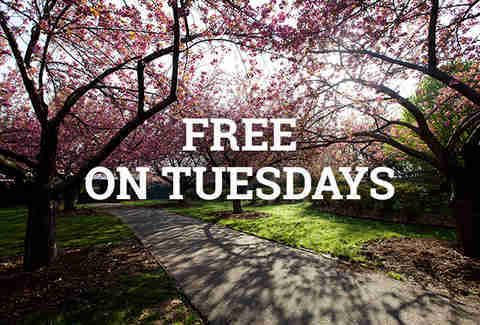 Notes: Free grounds access; does not include entry to the Enid A. Haupt Conservatory, special exhibitions like the Orchid Show and Holiday Train Show, Everett Children’s Adventure Garden, Rock and Native Plant Gardens, or Tram Tour. Hours: Regular hours except April through October when it’s 3 to 6pm. Hours: 3 to 5pm, and until 7pm on the third Thursday of the month. Hours: Pay what you wish from 6 to 9pm. Notes: Only the first Thursday of the month. Hours: Pay what you wish from 7 to 9pm. Hours: Free 6 - 8pm! Hours: Pay what you will from 3pm to close; 4pm to close in summer. 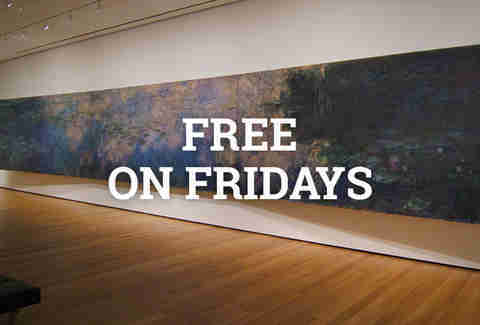 Notes: Only the first Friday of every month! Notes: Free only the first Saturday of the month! 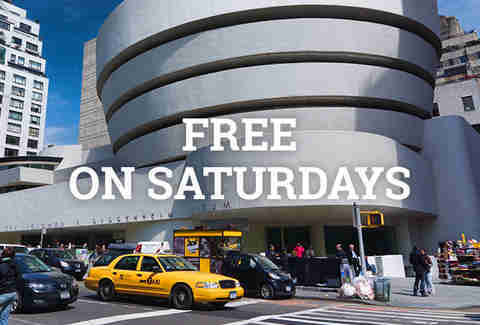 Notes: Free every third Saturday of the month for Super Sábado. Hours: Pay what you wish from 11am to 1pm. 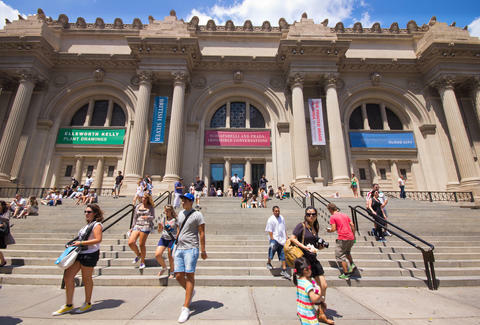 The following museums are pay-as-you-wish all the time, which technically means you don't have to pay more than a dollar. But don't be a jerk -- donation money helps to keep these things free! Notes: The “I’m a neighbor” policy waves the fee entirely if you live close to the museum. Carrie Dennis is an associate editor for Thrillist Media Group and always pays the suggested donation. Follow her on Twitter @CarrrieDennnis.